The time has come for the official Marriott – Starwood merger, and you only have hours to book hotels at the old rates! It’s definitely worth taking a look at the updated Marriott award chart that will go into effect tomorrow, August 18, 2018, to decide whether it makes sense to book now or hold off and book at the new rates! The Blue Palace, a Luxury Collection Resort and Spa, Crete, Will Cost 25,000 MORE Points as of August 18, 2018. So Book Your Stay Now! You can click this link for a list of all Marriott and Starwood hotels under the new award scheme. It’s incredibly easy to sort the hotels by hotel name, location, change in award price, etc. Then you can decide how to proceed. 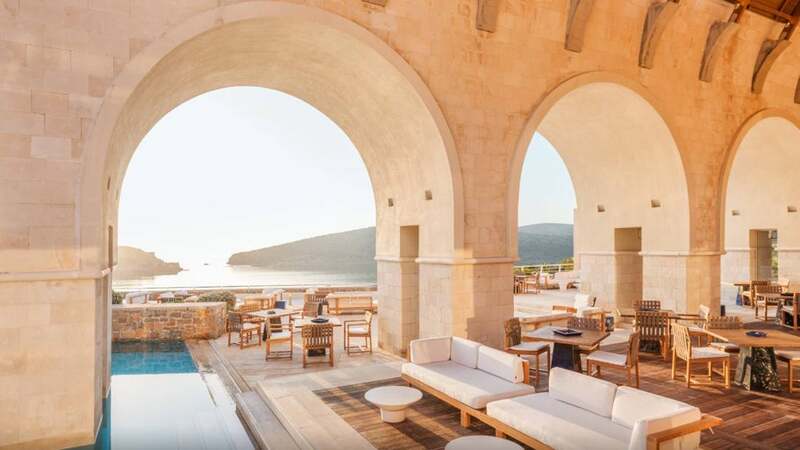 If, for example, you’re planning a stay at the Blue Palace, a Luxury Collection Resort and Spa, Crete, you’ll want to book before August 18, because this particular hotel will cost 25,000 MORE points after the merger (from 60,000 to 85,000 points per night). So if you’re planning a trip there, it’s imperative that you book before the new pricing structure is effective. When booking through Marriott, you don’t even have to have the required number of points in your account to make a reservation! So you could lock in current prices and earn the remainder of the points later. In contrast, for example, The St. Regis San Francisco is going form 90,000 points to 60,000 points per night. And the same goes for the W Bali – Seminyak! So I’d hold off on booking those awards until after the official merger, to save tens of thousands of points. That said, if you have an existing reservation and the cost of the hotel is dropping, you can call and get the difference in price refunded after August 18. Are there any hotels you plan on booking before tomorrow? Or are you waiting for a drop in price on your stay? Let us know in the comments! You can read more about the details of Marriott – Starwood merger here.